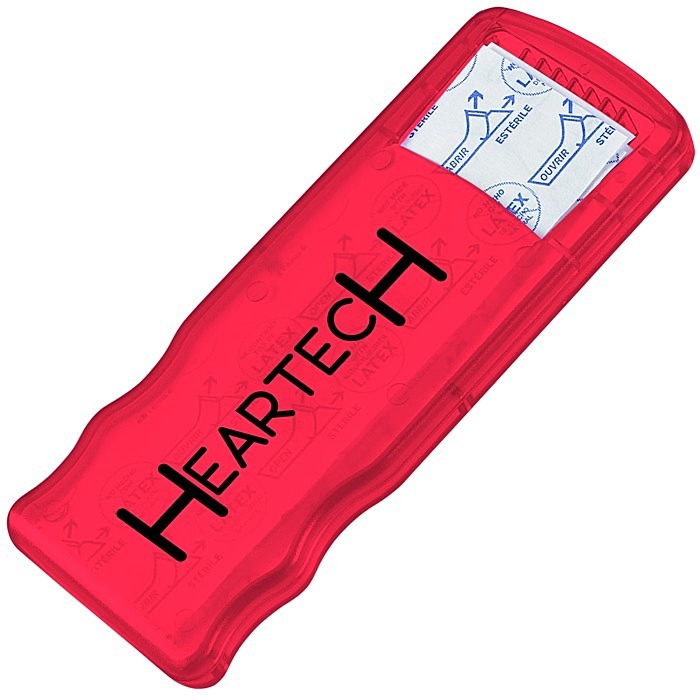 Dispense care and concern with this logo'd bandage holder. 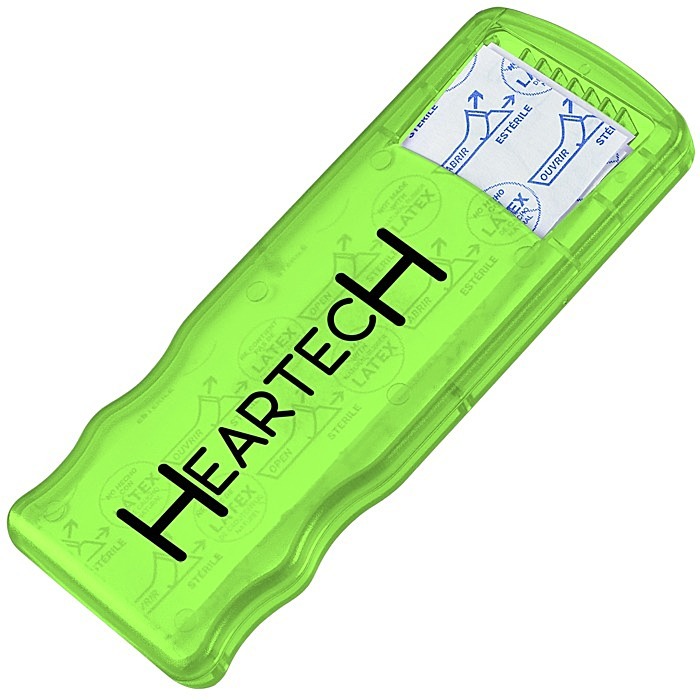 This handy plastic bandage dispenser tucks in a pocket, glove box or purse for easy and convenient portability. Refillable case includes five natural-color latex-free vinyl bandages. Several Translucent colors to choose from! 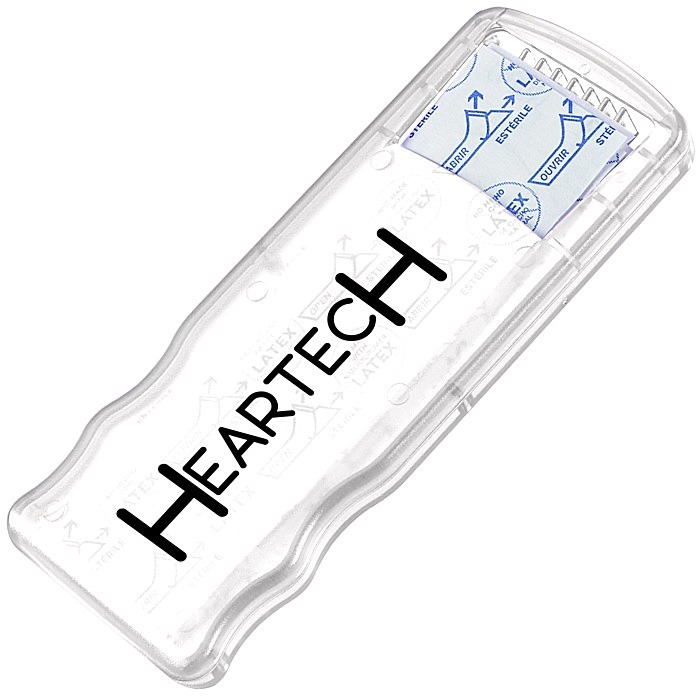 Perfect for hospitals, clinics and pharmacies. Size: 1-5/8" x 4-3/16" x 3/8".